Samuel Hykin, M.D., has joined Samaritan Hospital Bariatric and Metabolic Care in Troy, a practice of St. Peter’s Health Partners Medical Associates. He practices as both a general and bariatric surgeon. 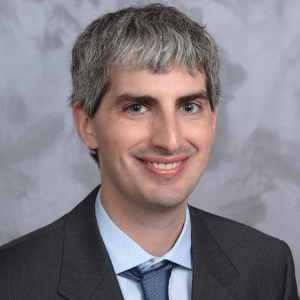 Dr. Hykin’s professional interests include bariatric surgery, endoscopy, foregut surgery for gastric reflux, gastric bypass surgery, revisional bariatric surgery, and vertical sleeve gastrectomy. Dr. Hykin received his medical degree from Upstate Medical University in Syracuse, and completed a residency in general surgery there as well. He completed a fellowship in minimally invasive and bariatric surgery at the University of Rochester, and received his bachelor’s degree from the State University of New York at Geneseo.